Rooms can be combined to seat 80. Drink is included in buffet pricing. All prices listed are before tax and subject to change without notice. 4:30pm-8:30pmFreeOne child 12 & under per paying adult. Regular Buffet Hours$6.00To-go only. Includes 2 slices of pizza or 2 pieces of chicken (or one of each) plus 2 sides. Or build your own salad from the salad bar. Drinks and additional sides are available for additional cost. Lunch: $9.97Dinner/Weekend: $13.00Must be 65 years of age or older. Cannot be combined with other offers. Join us today at the Ranch. 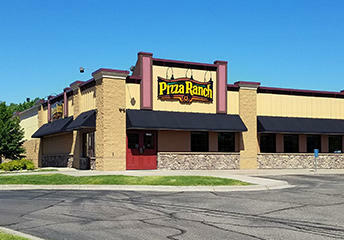 We’re serving up the best pizza in Apple Valley, Minnesota, alongside the Country’s Best Chicken® and our classic cactus bread. And it’s all on our Buffet Your Way, where any flavor you’re craving is made-to-order. Find us at the center of family fun. The Minnesota Zoo and Apple Valley High School are both less than 10 minutes away, so we’re the perfect stop on your way home from visiting the bears or watching the Eagles. Then burn off some energy in our indoor basketball court! Our two party rooms combine to hold up to 80 people, so bring the crew and your appetites—we’re set to satisfy both. Pizza was cold and old. Some of the ingredients such as the tomatoes tasted bad. The customer service seems to have diminished since our last visit. The wait staff seemed distracted and no smiles. In fact, one of the girls splattered ice cream on our son when she picked up the dirty plates and didn't even notice. The food was still OK but we weren't overly impressed. Would of been 5 stars if the chicken was stocked on the buffett. to expensive no topping on pizza food is cold not happy!!! wont be back!!! Did not pick up our dishes and not very many choices on the pizza buffet. 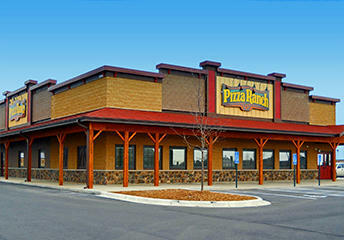 Otherwise we really love going to Pizza Ranch!!! You never have chicken out! There is always just a few white pieces left. Its not just a pizza joint!!! Always friendly staff, always good food. My favorite place to eat chicken. It is the best!! Everything was great, restaurant is very clean and the staff if very efficient. The one complaint I have is the soup. No matter what kind is available it's always too salty and very watery no thickness to it. The Ice Cream machine was out of order, so that was disappointing. Everything else was good as usual though. Driver got lost. I live in a development with two similar street names, Embers and Edinburg Way. My oof was good as always but kind of luke warm. The pizza selection was terrible this day we went. Normally you all do a fabulous job but it was cold and wasn’t much to choose from. Also ice cream machine was down again. I feel like it always is there. We love going there cause our kids love it and it’s so family friendly. Just an off day I think. 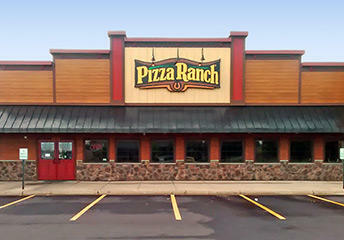 I am a frequent visitor of this Pizza Ranch location and almost always my experience is great. On this visit, I do believe that they had a "new" employee working. I requested a chicken alfredo pizza to be made for the buffet. When this employee showed up at my table with the pizza he served me 3 pieces but two of those pieces fell face down on the table. The employee used his free hand to pick up these pieces and put them on a plate and served them to me. I didn't say anything to him and I did try to get the manager's attention (but it was noon and getting busy). I'm pretty easy going but I'm guessing many other customers wouldn't be so understanding. I do not wish for the employee to get in trouble but it could be a good coach opportunity for the employee.